I started this series of blog posts last fall. 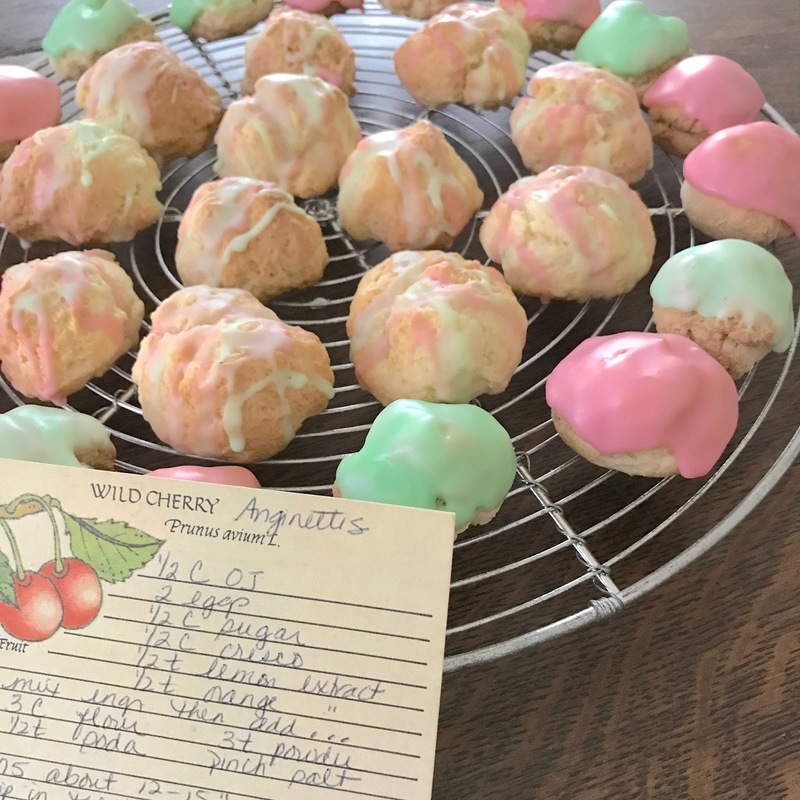 Our Nashville kids continued to request recipes for several Thanksgiving favorites, so I thought it might be more convenient to share them online. This time of year is steeped in Totoro traditions, and I realized if I wanted to post all our holiday treats before the New Year, I needed to start immediately. So from now until January, I will be posting our favorite Thanksgiving and Christmas recipes. This will also coordinate with my newest book, Italian Family Christmas, due to be released in November. Today’s recipe comes from my mother-in-law. The first time I tried these delicate cookies I thought they were a play-on-words. Her name was Angie so I figured Anginettis was her signature recipe. It wasn’t until last year I realized they are a traditional Italian cookie. I remember Angie serving these at Easter, using pastel-colored icing to decorate the tops, but really these cookies are adaptable to any holiday celebration. Cream the butter and sugar until light. Add eggs one at a time and beat until blended. Slowly mix in the dry ingredients. Dough will be stiff and a little sticky. Dip top of cooking into the icing. Let extra icing drip off. Air dry on wire rack (with wax paper underneath to help with clean-up) before packaging. This post is part of BethFishReads Weekend Cooking Link Up. For more delicious recipes, please visit her weekly blog feature. Congratulations on the new cookbook! The cookies look great! I'm always looking for cookies for my yearly cookie exchange. I think I just found what I'm making this year. These look easy and pretty. Plus you could make them for any holiday just by changing up the color of icing. Thanks for sharing this recipe. The cookies look yummy. Looking forward to more recipes this Fall :). These cookies look delicious and fun! Best wishes on your new cook book! 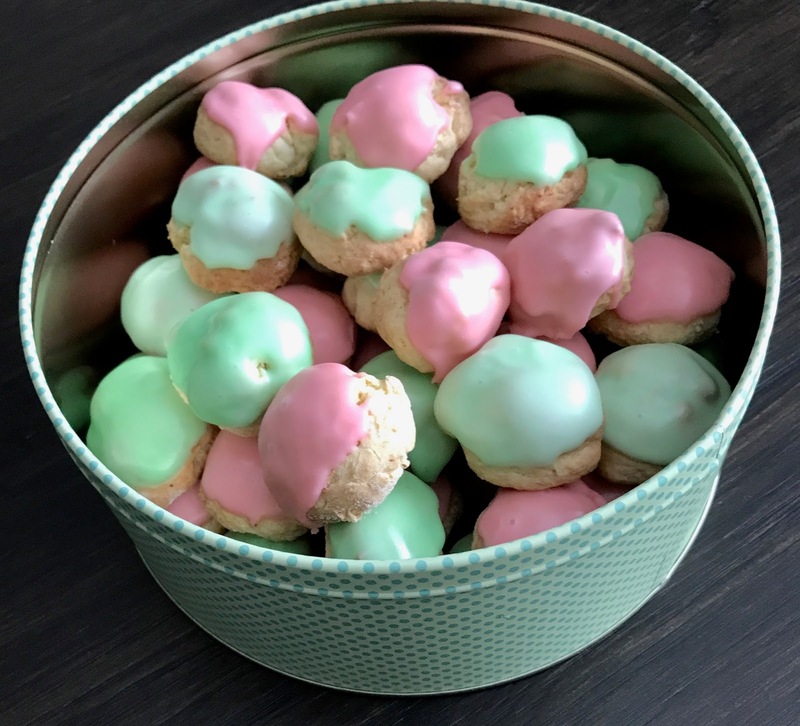 These traditional Italian cookies sound divine and I can easily convert them to gluten free. Congrats on your cookbook. Thank you so much, Pat!